Could be sold in limited numbers. The Chery Arrizo 3 Newbee Champion Edition, a customized show car, has been unveiled at the Guangzhou Auto Show 2014. 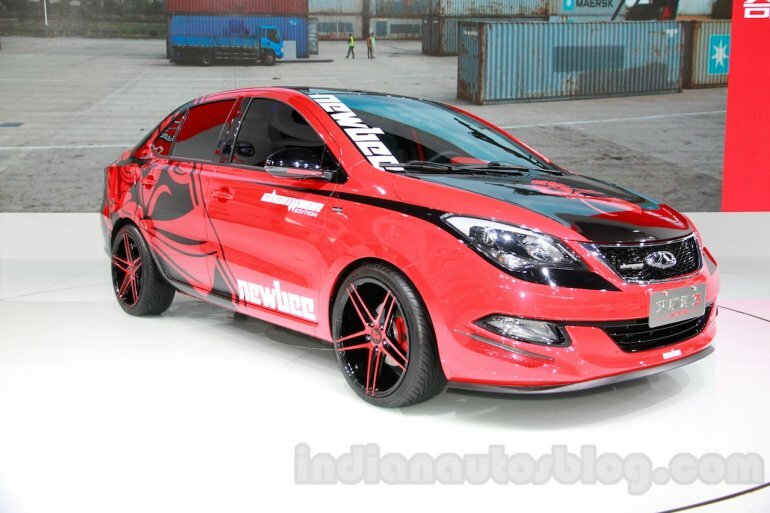 The joint branding exercise between Chery and and the Chinese Video Game franchise Newbee has resulted in a sporty looking sedan. 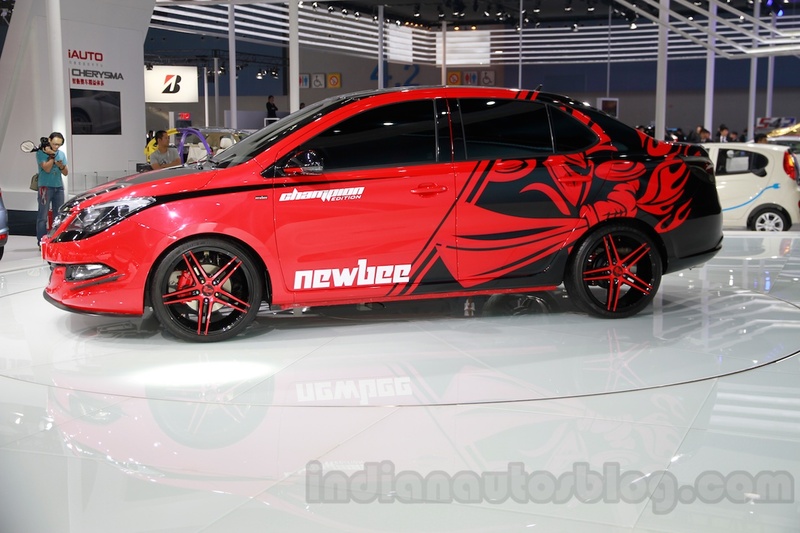 The Arrizo 3 Newbee Champion Edition features a red and black livery with interesting designs on the bonnet and second half of the body. The sedan gets a glossy black treatment for the grille, airdam and front splitter. The roof and wing mirror housings are also finished in black. 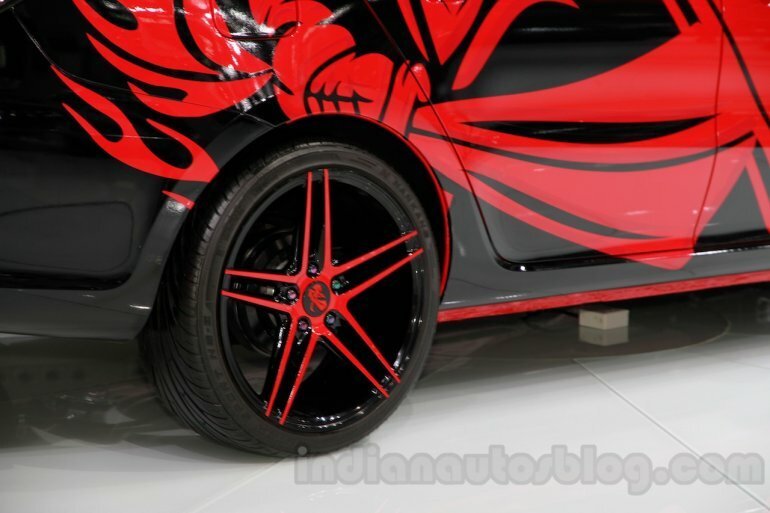 The brake calipers get a red treatment and so do the special 5-spoke alloy wheels. Inside, the Newbee Champion Edition sports a red and black color theme. The instrument hood, lower part of the dashboard, door pads and seats (with black inserts) are finished in red while the upper half of dashboard and steering wheel are finished in black. The centre console hosts a multimedia infotainment system. The steering wheel design has Hyundai written all over it. The Arizzo 3 Newbee Champion Edition is powered by a 1.5-litre four-cylinder naturally aspirated petrol engine which puts out a modest 109 bhp and 140 Nm of torque. The engine comes mated to a 5-speed manual or a 4-speed AT. Chery is expected to sell the special edition car in limited numbers with deliveries starting later this month.